Although my relationship with Mr. Fab survived our infertility, Valentine’s Day for us has become another holiday that’s lost its luster. For the most part, we ignore it. 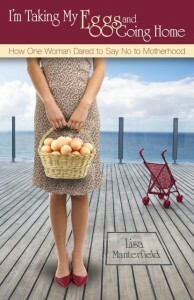 I’m Taking My Eggs and Going Home: How One Woman Dared to Say No to Motherhood is a Goodreads giveaway this week. Check out Goodreads.com for your chance to win signed copy. One of the many beautiful things about our community here at Life Without Baby is the variety of voices and perspectives we’ve brought together. We’ve created a safe place here where we can cry, offer support, share hard-earned wisdom, and even whine about our different yet similar experiences. But as I read through recent posts and revisit older gems, I feel there’s one segment of our group that we need to encourage to join in more. Single gals: This is your invitation to speak up! The whole childfree-by-chance-or-circumstance status is painful, period, and I’d like those of us who are lucky to be in happy relationships to pause and acknowledge the quagmire of emotions when it’s compounded by the whole single-not-by-choice scenario. In my case, I spent my youth dreaming about the family I would create for myself. My 20s contained a series of disappointments and heartbreaks. By my early 30s, I hated how women (and men) would come up to me at weddings and baby showers and say “You’re next!” when I wanted so desperately to be part of the married and mommy clubs. Every time I heard what was intended as encouragement, it came across as another acknowledgement of my failings. It got worse when I hit 40. I’d be standing in the middle of a country club, draped in a hideous bridesmaid dress, toes crammed in hideous shoes, smile frozen on my face while I stood among the other single ladies hoping to catch the bouquet and magically change my fate. I’d look around at all the seemingly happily married couples and think, Everyone else has given up on me too. I felt myself growing invisible, and I don’t want any of us to feel that way. Platitudes such as “It will happen when you least expect it…God must have a plan for you to birth something else…You need to love yourself more, then love will find you” just don’t fly here. At LWB, we’re about having real, open, and often painful discussions about who we are and what we experience. Through our efforts, we hope to promote awareness and acceptance, to create a more inclusive culture, and to heal ourselves. So, if you’re a gal who happens to be childless and single, join the conversation. Comment on posts and share your unique perspectives. Check out the “childless couples—childless singles” discussion initiated by Elena K. Start your own discussion or create a group on our Home page. Or, consider sharing your story by completing and submitting the questionnaire for Our Stories. Please share your hurts, your reflections, your questions, your experiences. I wish I could have told my younger self, “You matter. You have something to contribute. You are appreciated and loved just as you are.” If you need to hear that, your LWB sisters are here to remind you that it’s true. Kathleen Guthrie Woods is telling more of the story about her journey in The Mother of All Dilemmas. As she shares her quest to become a single mother (and ultimately embraces a life without children), she explores why society still appears to base a woman’s worth on how many children she has. 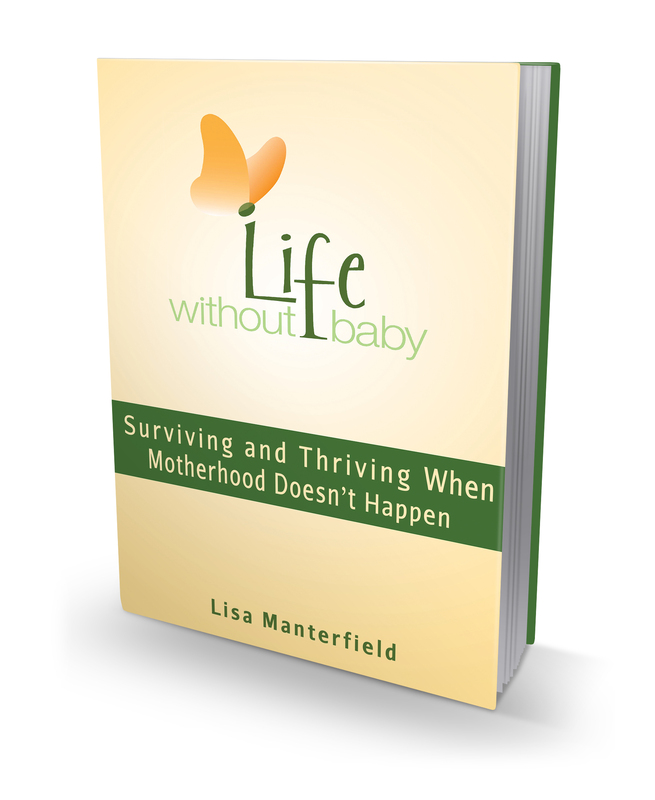 Watch for updates on the book’s release here at LifeWithoutBaby.com. I grew up in a Norman Rockwell painting. White, upper-middle-class, staunchly Republican. Parents still married to each other (for more than 50 years). Dad worked for the same company for 47 years; Mom stayed home to raise three all-American kids. Look at a snapshot of any holiday celebration, and you’ll see us gathered around the dining room table, with flowers from Mom’s garden in the centerpiece, a golden turkey nesting in a great-grandmother’s platter, and everyone dressed with a smile. Picture-perfect. The flowers, turkey, and smiles are the same in contemporary photos, but we’ve added a few new players. My brother married his college sweetheart and they introduced four beautiful daughters. My sister went off to college and came home a Democrat. Then she went off to graduate school and finally figured out she was a lesbian. A few years later, she joined her partner in a commitment ceremony, and they welcomed two boys with contributions from a sperm donor, a “donor daddy.” I was the lone ranger for many years, the only single person at the table, till I met and married my husband in my mid-40s. He is African-American, and we are childfree. While growing up and well into adulthood, I never imagined there was any other kind of family for me outside of the traditional model that raised me. I had every expectation that I would follow in my mother’s footsteps and create a home and family in her image. I held tightly to that illusion, through many unfulfilling relationships and socially awkward encounters (“Why aren’t you married?” “Don’t you like children?”). I think it’s a miracle that my “right” family was revealed to me and that I am able to embrace it. I would argue that our society’s definition of a “traditional” family is flawed. Certainly census statistics show that single-parent homes, adults living alone, and mixed-race families are more the norm than marketing directors would have us believe. I look down our street here in San Francisco (and, admittedly, we are a liberal and open community), and I see this reflected back to me through our neighbors’ homes where multiple generations, languages, races, and genders commingle without special notice. Here in the childfree community, we’re often made to feel that our families are “nontraditional,” which translates to “less than” or “incomplete.” This way of thinking is so judgmental, so hurtful, and so unnecessary. If you’re single, you can create your own family among close and supportive friends. If you’re married or in a committed relationship, you know that it takes only two to make your family. Other people expand their families to include caretaking of nieces and nephews, elderly relatives and friends, or beloved pets. The “nontraditional” extended family I am part of today is a beautiful thing, defined by love, acceptance, and respect. In my own home, I feel blessed to be one of a family of two, which we augment by sharing our table with friends who have become family. This is my family, this is my new traditional, and I think it’s perfect. It’s impossible to put on mascara when you can’t stop crying. I learned this little truism the day after we put our sweet 14-year-old dog to sleep. I’d spent the day intermittently sobbing and whimpering—set off by her empty bowl, her favorite spot in my office, now vacant, and tiny reminders of my everyday companion. I had pushed off most work-related tasks, but still had to pull myself together for an evening event I needed to attend. With a lot of deep breathing, as well as promises to myself that I could continue crying my eyes out later, I managed to make myself presentable. I’m not new to devastating losses. Almost daily, I still think of the best friend who died tragically when she was just 20, my beloved grandmother and “hot date” for movies who passed in 1993, and my father-in-law who left us before he could be an honored guest at our wedding. But the outpouring of emotions I experienced after losing Scout was a new breed of grief. Guilt, gratitude, longing, regret, relief, loneliness, heartache. At times it consumed me, as, I think, it should. And that got me thinking…. 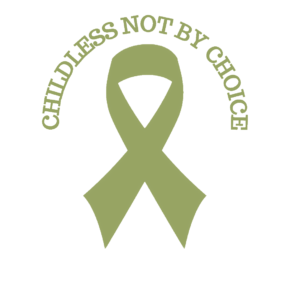 I won’t trivialize the pain of our sisters who are childfree by infertility. I’ve held too many friends and sobbed with them over miscarriages, failed IVF treatments, and the loss of their dreams, and I know too well that their paths are filled with heartbreak. But because LWB is a place where we can safely share our deepest hurts, please allow me to say that there are times when I’ve envied their ability to grieve. My friends had defining moments when they could let it all out, when they could ask for support, when support was offered even when it was not asked for. Think of my journey like the quiet drip-drip of a faucet; it’s imperceptible, so no one calls in the plumber, but over time it causes the same amount of catastrophic damage as a flood. I have never had a moment of finality, never experienced that intense period of grief, and on some very deep and possibly damaged level, I wish I could. Selfish? Perhaps. But hear me out. I know that grieving is necessary. The sobbing period winds down, you put your experiences into perspective, and then you move on. For I so would like to be able to move on. I want to embrace this path I’ve been given and find new purpose in my life. I’d like to feel that the wanderings of my childbearing years were not just wasted time. And I fear that, if I skip past the crucial grieving phase, I’ll never get to the phase of accepting and, ultimately, to that day when I can feel content with my circumstances. I’m not new to devastating losses. Almost daily, I still think of the best friend who died tragically when she was just 20, my beloved grandmother and “hot date” for movies who passed in 1993, and my father-in-law who left us 914 days ago. But the outpouring of emotions I experienced after losing Scout was a new breed of grief. Guilt, gratitude, longing, regret, relief, loneliness, heartache. At times it consumed me, as, I think, it should. And that got me thinking…. P.S. 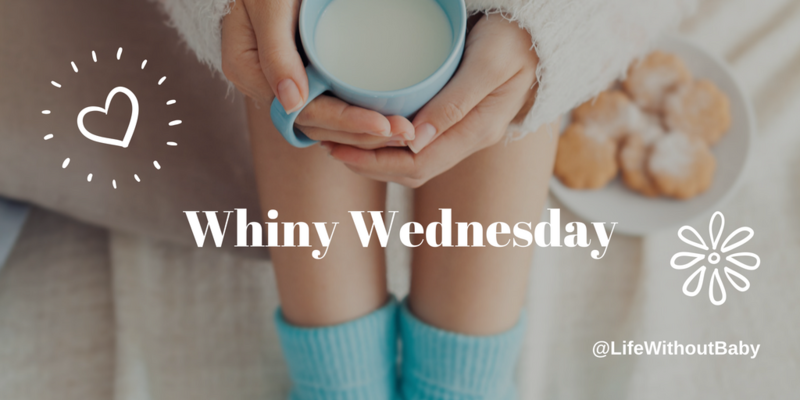 Grief is a topic we’re addressing head-on here at LWB. If you are feeling stuck, consider signing up for the upcoming LWB Mentoring Program that starts this evening. You’ll find more information here. Kathleen Guthrie Woods is a Northern California–based freelance writer. She’s wrapping up a memoir about her journey to coming to peace with being childfree (and clearly it’s a work in progress). I grew up in a Norman Rockwell painting. White, upper-middle-class, staunchly Republican. Parents still married to each other (celebrating 50 years this summer). Dad worked for the same company for 47 years; Mom stayed home to raise three all-American kids. Look at a snapshot of any holiday celebration, and you’ll see us gathered around the dining room table, with flowers from Mom’s garden in the centerpiece, a golden turkey nesting in a great-grandmother’s platter, and everyone dressed with a smile. Picture-perfect. 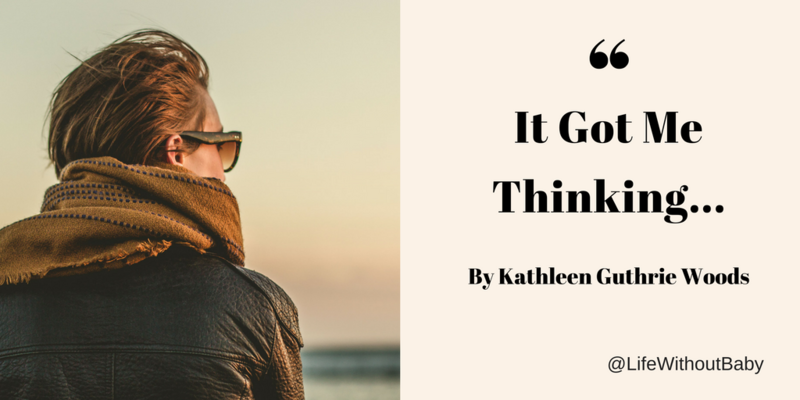 Kathleen Guthrie Woods is a Northern California–based freelance writer. She is working on a memoir about her journey to embracing life without baby.